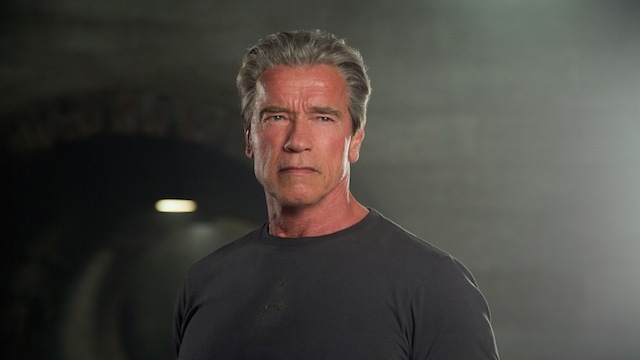 This new, grey-haired Arnold is like a throwback to gritty action stars of the ‘70s and ‘80s, and he’s making choices that fit with that aesthetic. According to Deadline, 478 is about a man whose wife and child are killed in a place crash due to negligence on the part of the air traffic controller. So he’s not out for vengeance against terrorists, the devil, or a drug cartel or anything, and this guy probably isn’t a monster, so this is going to add a new wrinkle to a traditional Schwarzenegger revenge flick. It’s described as less of an action vehicle and more of a subtle character piece, and I can’t wait. In addition to Arnie, 478 has a script by Javier Gullon, who penned Enemy for Dennis Villenueve, and Darren Aronofsky is set to produce. There’s no word on a release date just yet, but as soon as we hear one that day is getting circled in red on our calendar.